I get it, January is the start of a new year. To a lot of us that means new beginnings too. And having a set date gives us time to plan for changes – you know, talk ourselves into, or even out of, those resolutions we plan on making. But what does it say about those resolutions, or changes and goals, if we can put them off for a month or two? Are they REALLY that important to us? Think about it – when something is important to you, or there is something you’re really excited to start, or stop, you don’t want to wait another minute, let alone another month. So these goals we set and resolutions we make as the clock strikes midnight on January 1st are they really important to us? Are we doing it because that’s when we’re expected to? First, maybe the fact that things are so hectic and crazy for you this time of year means that this is 100% the time you DO need to be making changes. And second, this happens other times of the year too. Think about it – how many times have you said “I’ll start my diet/exercise routine/social media detox on Monday? Or on July 1st?” I’m guilty of it too – but why do we do that? Some of you may know that I dubbed 2018 “The Year Of Alissa!” and not in a selfish way. I just paid more attention to myself and my wellness this year. I saw a therapist regularly; I started Fit4Mom Body Back classes; I address some of my mental health issues. It was not a year of massages, facials and mani/pedis but a year of working on me. One thing I learned this year is that there is no need to put off until tomorrow (or January 1st) what you can do today. And that includes setting goals or making changes to your life. 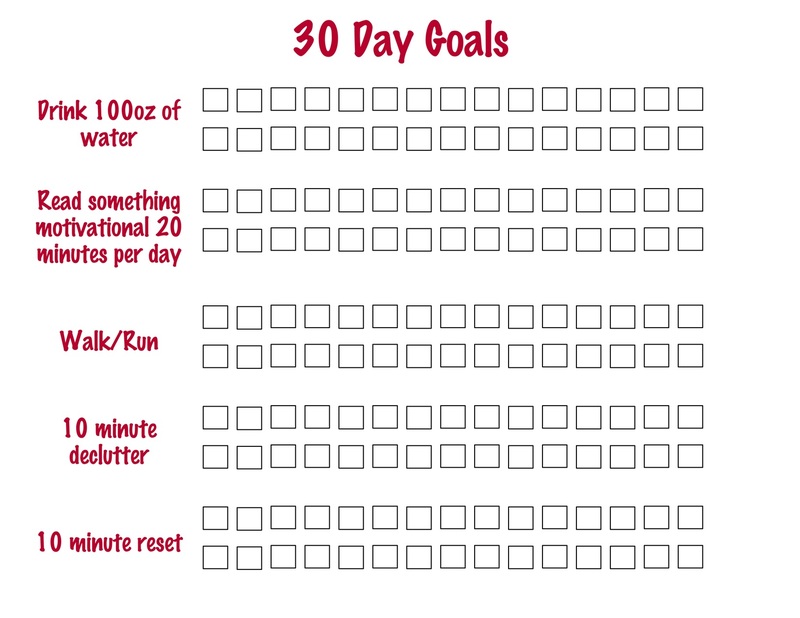 So with that said I decided to create a 30 Day Goal Challenge for myself – and I invite you to do it with me. 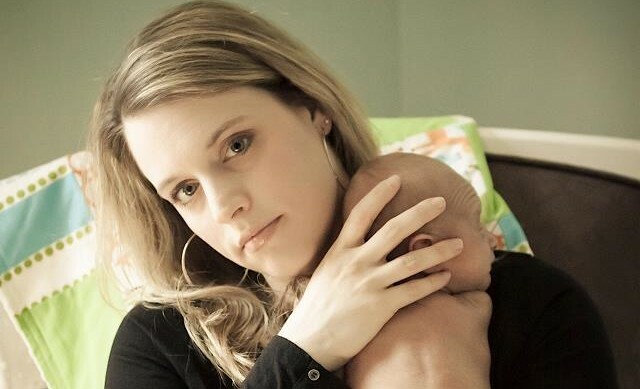 I had spent some time browsing Pinterest and pinning a bunch of lists on self care, minimalism, #momboss type things. 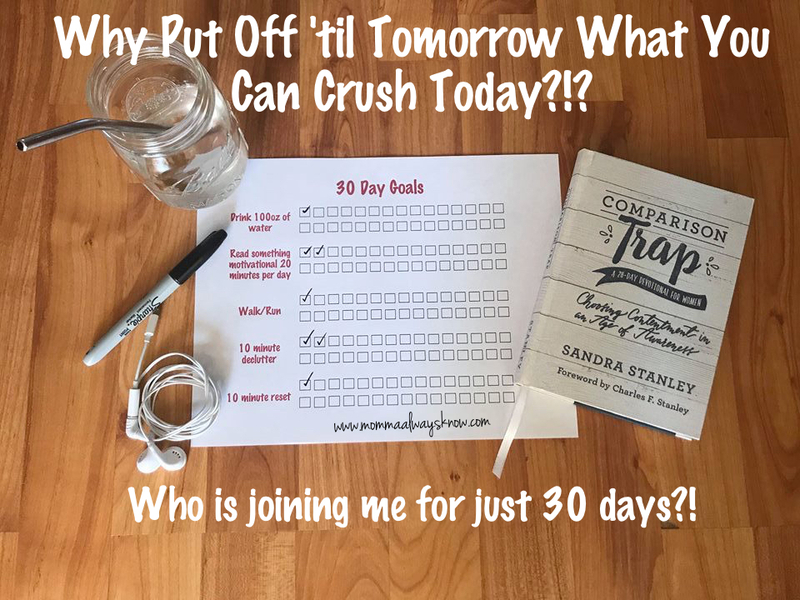 I took 5 items from those lists and turned them into a challenge for me for the next 30 days – because we all know it takes 30 days to make, or break, a habit! I have a few more things I’m doing as well (like no social media one hour before bed and one hour after waking up, listening to two TED talks a week and making sure I get 8 hours of sleep in my bed!) but they didn’t fit well on this chart and since this is about simplifying I just left them off! I made the simplest chart EVER, printed it out and it’s got a new spot on our refrigerator – surrounded by artwork galore thanks to Lucas and Andrew. And I started yesterday (yes, it was a Monday but I just had the idea Sunday night so cut me some slack!). I was going to wait until January 1st but why? It’s especially important to me that I’m taking 10 minutes a day to reset myself, getting in some physical activity and reading things that help me grow during the most hectic time of the year. Like I said, this is my invitation to you. If your goal(s), resolution(s) or even your “word” are going to make you happier or healthier or less stressed or more financially stable, START TODAY! And to make it extra easy, I’ve created a blank chart just for you! 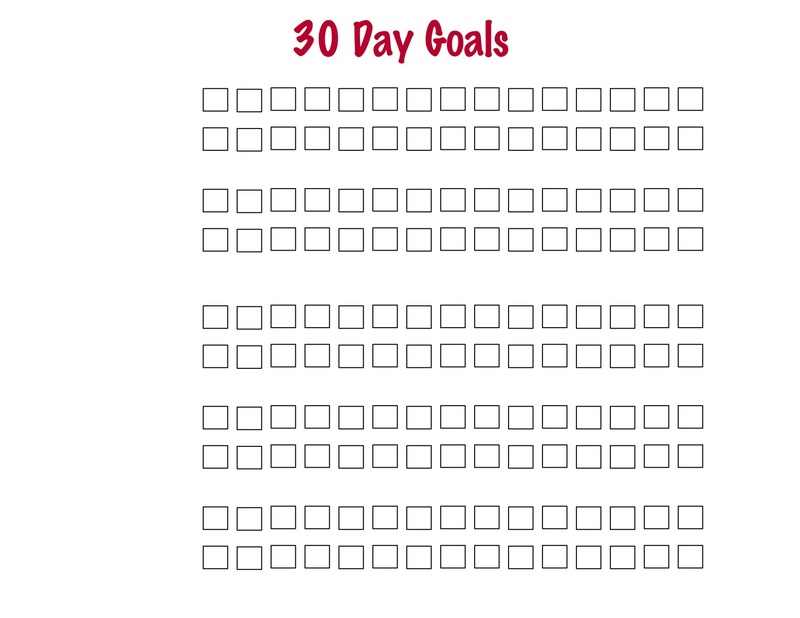 Then plug in your goals for the next 30 days and join me on this challenge. Don’t feel the need to add 5 things – start small with just one, or maybe two, if you’re feeling overwhelmed! We can start 2019 with a sense of accomplishment that will carry us forward for the 365 days to come!